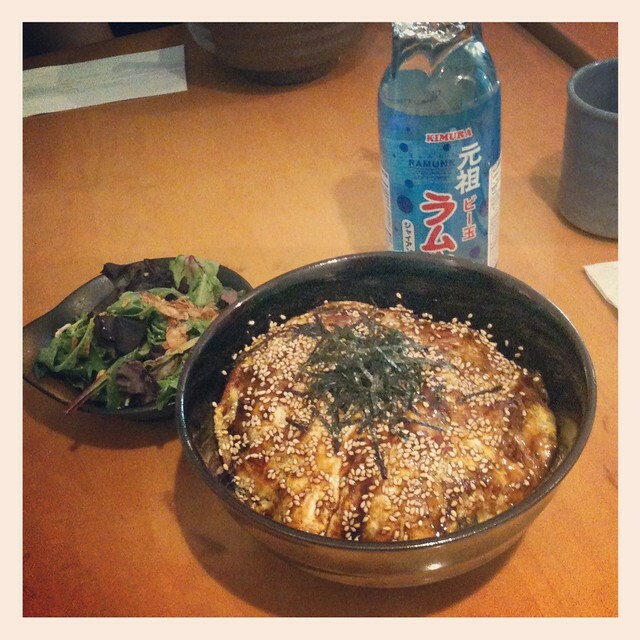 We met up at Manpuku in the Village by the Grange for lunch and I ordered the unatama-don (BBQ eel and egg on rice). I forgot to take a group photo of us at lunch, so here’s a photo of my food and the gigantic bottle of Ramuné soda! Here are Maddy & Moe making nyan-nyan neko-paws. Little Cirno looks so adorable in her ‘original’ outfit. Meo’s Tamaki was getting into some mischief with this little nekos! 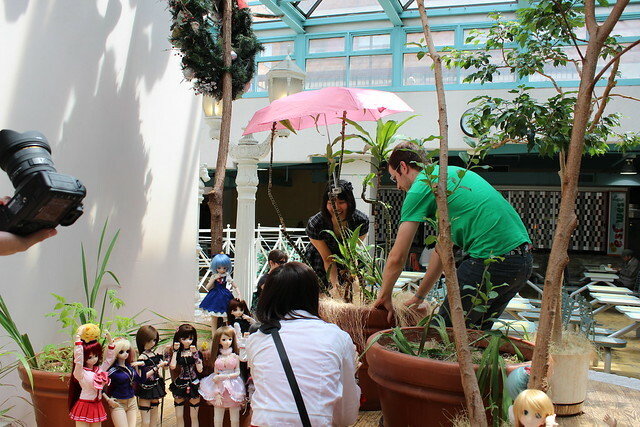 Here are Junslr’s girls Akiha and Kyoko that are visiting T-Rho. T-Rho also brought her Yoko and Neris, and a cute little Mamachapp doll. It eventually got a bit too warm for comfort under the glass roof so we headed out to the nearby Grange Park and settled down at a picnic table. Cirno is cuddling up with Sakura. You can check out the rest of my photos from the meetup on my Flickr in this set. It was a lovely summer day and it was great to see everyone again! 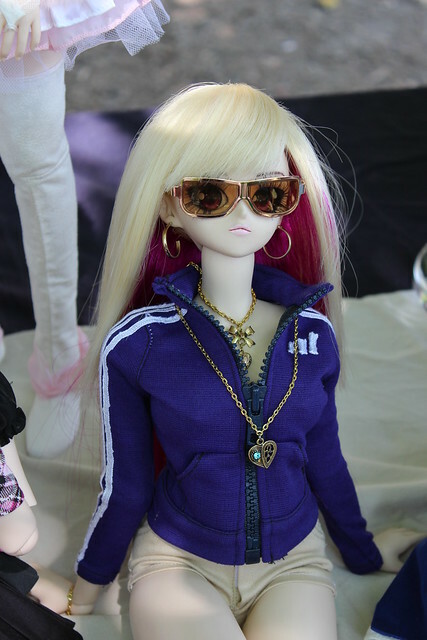 This entry was posted in Doll Meetup, Dollfie Dream and tagged Dollfie Dream, meetup, Moe, Saber, Sidonie by archangeli. Bookmark the permalink. 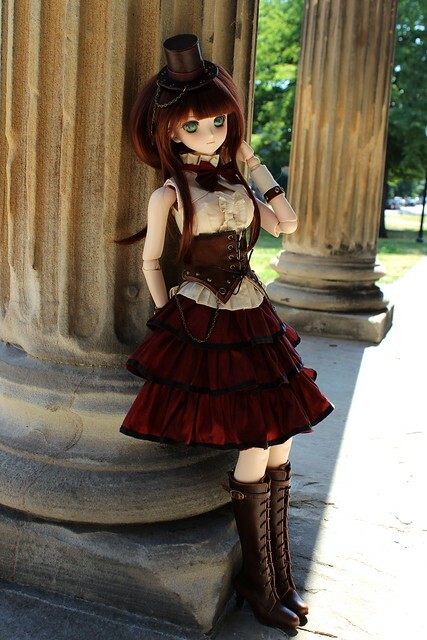 I was tempted to bring Mélisande wearing her Volks Charlotte set, but she’s worn that to a couple of meetups already >__<"
You guys always have the best, tastiest meetups! I’m so jealous!!! So many lovely dollfies! 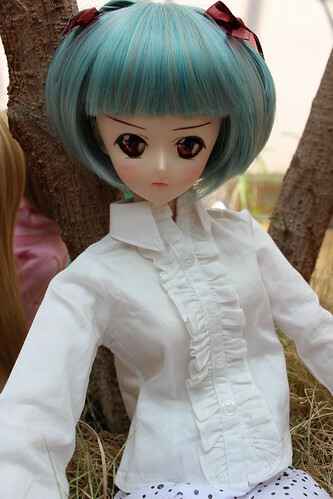 ♥ They should make boy dollfies too! (Or maybe not LOL)! 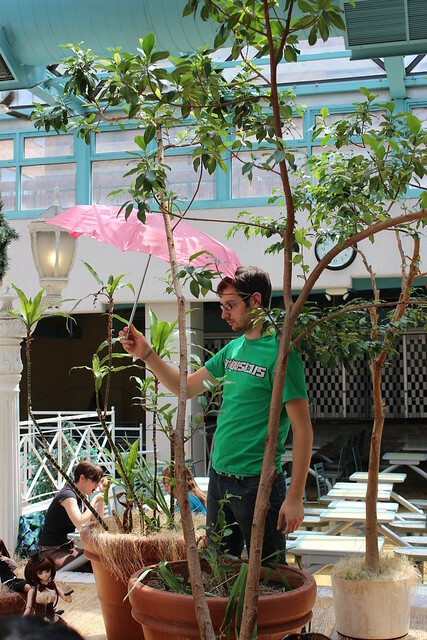 Somehow it looks like the umbrella is being balanced on the head LOL!